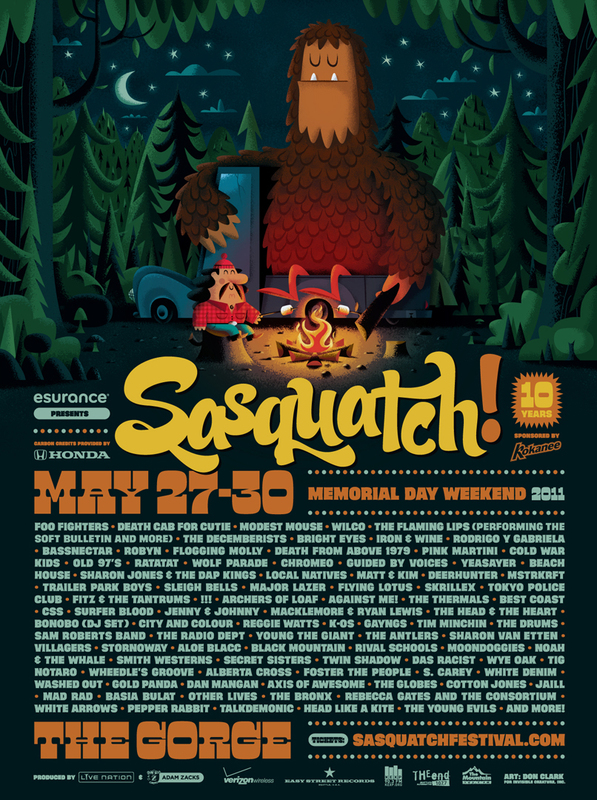 Music Psychos: SasquatchFestival Lineup announced. If you are disappointed by the fact the tickets for the the Coacella Festival were quickly sold out, don't be so sad. As Bryen predicted in the past post, here is another chance to see the Death Above From 1979. 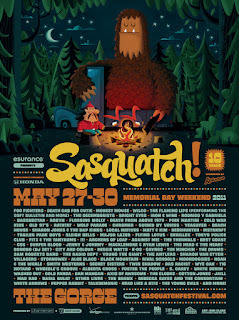 The Sasquatch Festival just announced its lineup last night. Some of the big names are Foo Fighters, Wolf Parade, Death Above From 1979, Modest Moose, Death Cab For Cutie, Wilco, Flaming Lips, The Decemberists, Bright Eyes, Iron & Wine, Robyn, Cold War Kids, Chromeo, Tokyo Police Clubs, Black Mountain, K-Os, Twin Shadow, Sam Roberts Band, and more. Is it only me who believe that the lineup is way better than Coacella's? Click here to check out the full list of the line up.